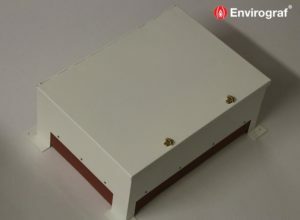 EnviroBurst Automatic Fire Suppression System consists of a sealed thermoplastic tube which will begin to soften when exposed to high temperatures. Once the fire reaches 70°c the tube will burst, releasing a liquid extinguishant into the heart of the fire. 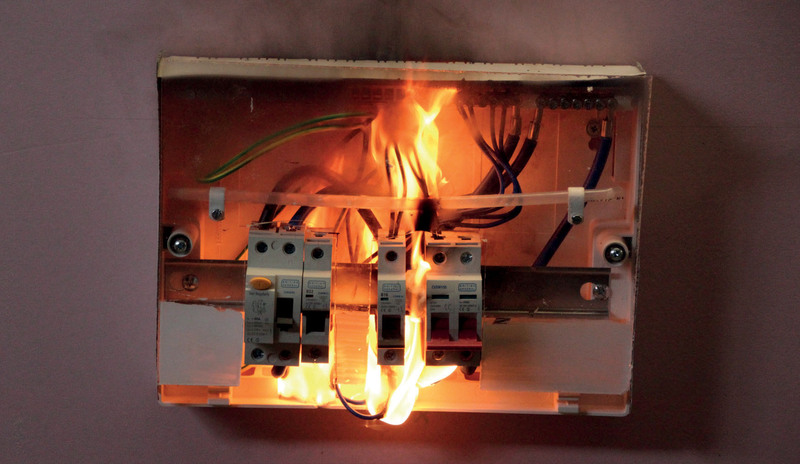 The system is ideal for protecting enclosed areas which pose a high risk of igniting, such as distribution boards or consumer units which can be prone to overheating. 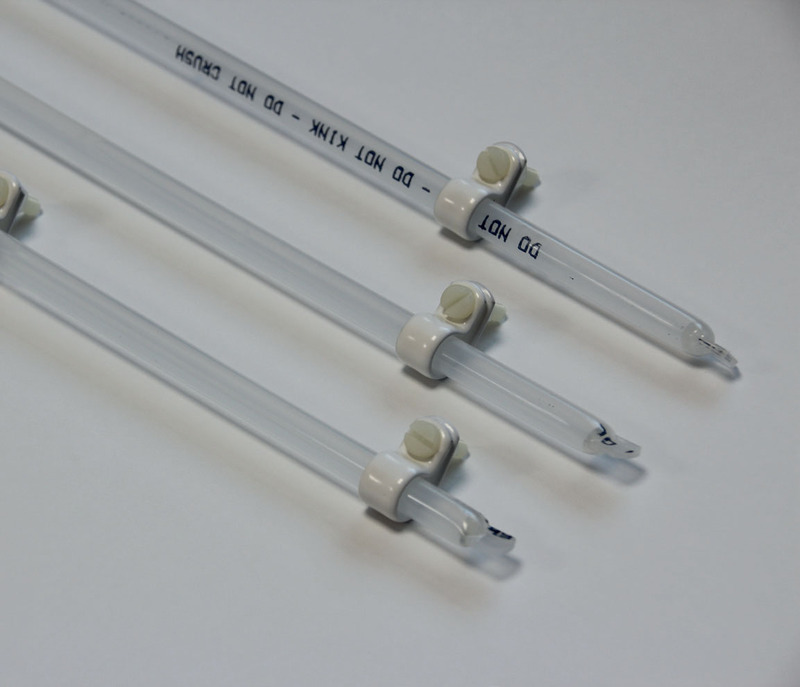 It is compact and lightweight, meaning it is easily adaptable to a wide range of purposes. 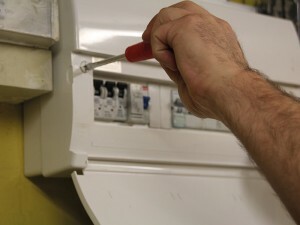 The unit is designed to extinguish fires in the early stages, meaning that in many cases the consumer unit, as well as the wiring, will take only minimal damage and will not need replacing. 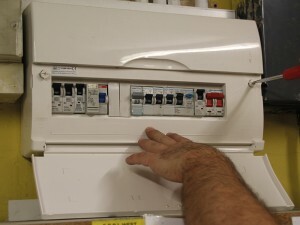 Could you be without your consumer unit, distribution or switch fuse & board for days or hours? 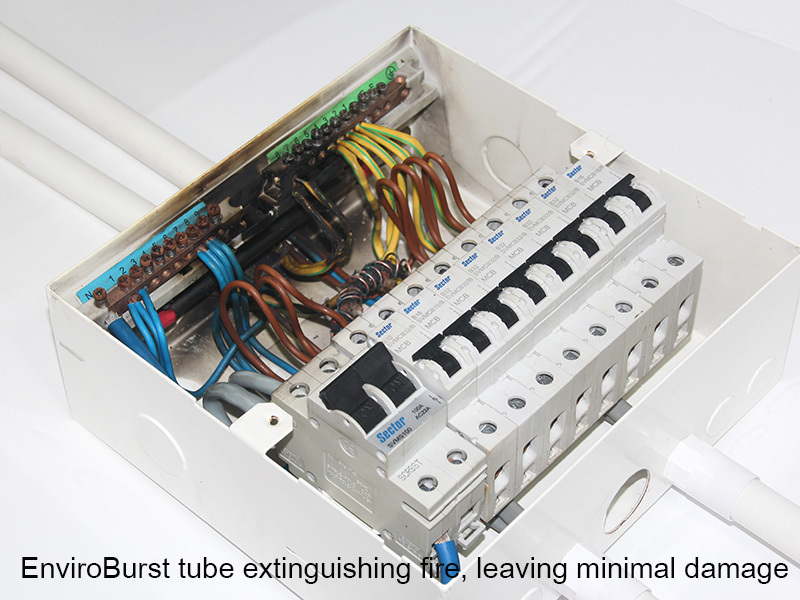 EnviroBurst can immediately put out the fire, causing virtually no damage. 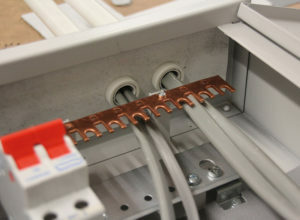 The tube units are supplied with fixing clips, nuts and bolts. Fixings should be placed about 30-40 mm from both ends. Take off the lid, drill 2 holes near the top. 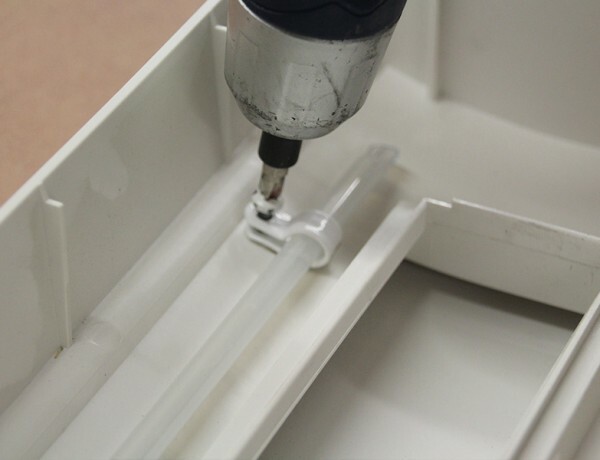 Fit the clips around the tube & bolt to the inside of the lid. 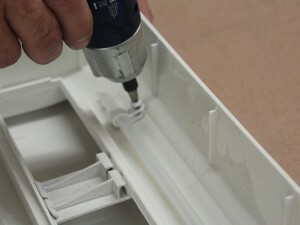 Refit the lid back. 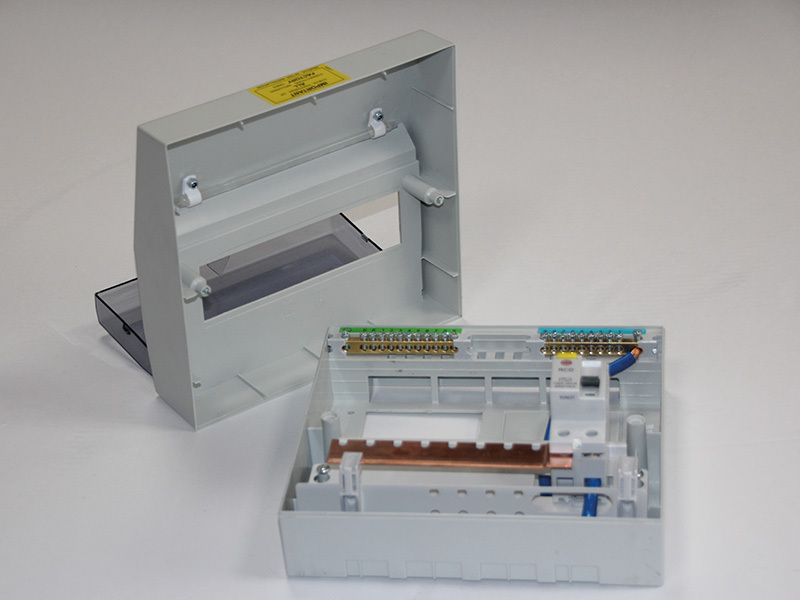 Most standard consumer units up to 250 mm wide will only require EBU1. 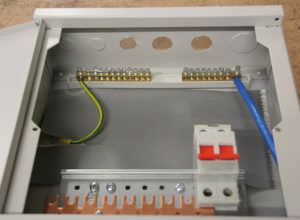 For larger distribution boards, use EBU2 (300 mm wide) or EBU3 (505 mm wide). 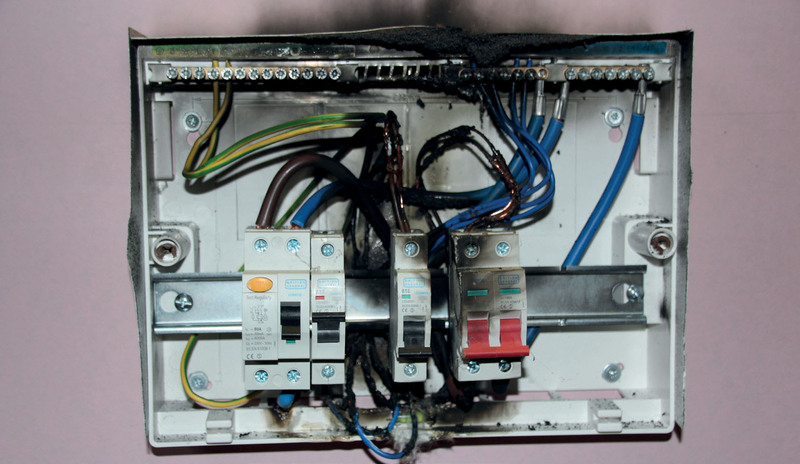 This is the quickest and safest way of stopping a fire in consumer units.